A little while I ago I came across a blog page or a website or something, it was that long ago I can't even remember! But it was about hair care and how 9 times out of 10, the reason for having irritated hair is down to Sulfate. 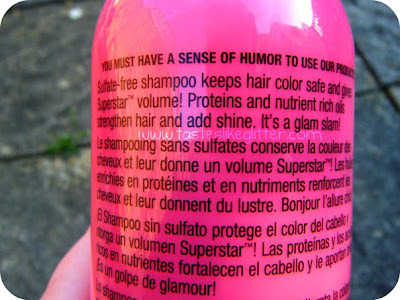 This is quite a long quote, but I suggest you read it as it's in 95% of commercial shampoos and conditioners. 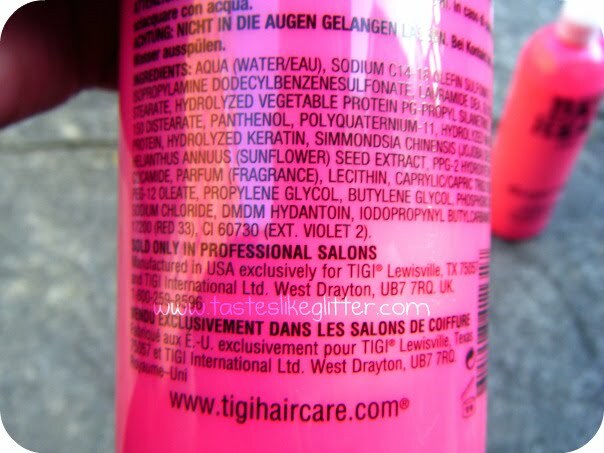 'So why is a dangerous chemical like Sodium Lauryl Sulfate used in our soaps and shampoos? 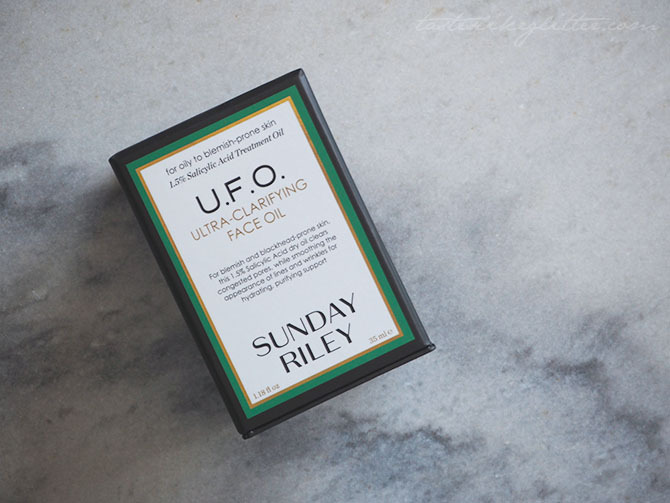 Perhaps most worryingly, SLS is also absorbed into the body from skin application. Once it has been absorbed, one of the main effects of Sodium Lauryl Sulfate is to mimic the activity of the hormone Oestrogen. This has many health implications and may be responsible for a variety of health problems from PMS and Menopausal symptoms to dropping male fertility and increasing female cancers such as breast cancer, where oestrogen levels are known to be involved.' - Source. Every since I can remember, my hair has always irritated me. Sort of like dandruff but super itchy. I went to the doctors and they prescribed me this disgusting Coaltar shampoo. It didn't work so until now I've been just putting up with the irritating and used different branded shampoos. 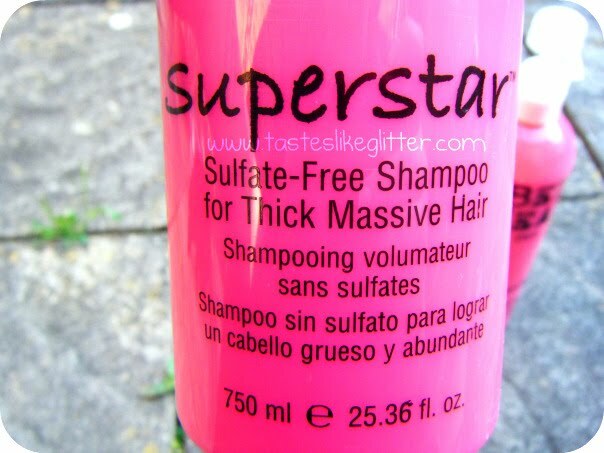 Until I came across that blog post and decided it was my mission to find a SLS free shampoo. 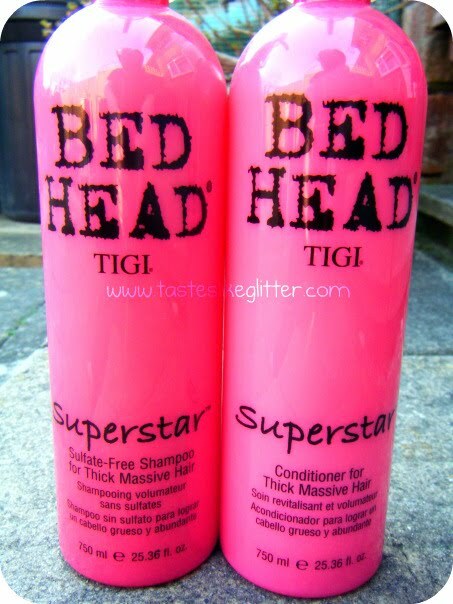 One of my first results was the Tigi Bed Head Superstar. Which I found for dirt (no pun intended!) cheap from Feel Unique. The 250ml shampoo is nearly £8. And I got 2x 750ml for £21. Bargain right? I swear there was meant to be a review in here somewhere! You’ve been nominated to become a Superstar! Keeps hair colour safe and gives Superstar volume! Proteins and nutrient rich oils strengthen hair and add shine. It’s a glam slam! Adds volume, body and shine. Unique protein complex helps moisturize and repair. Helps prevent and protect from colour loss. So the actual product ... It's huge! Hence the last picture, just for size comparison. It smells amazing, like strawberry sweets. Anything that smells like sweets gets my vote. I find one full pump of product is enough. Sometimes I add a tiny bit more. Sulfate is what makes other shampoos lather up so much so this doesn't get like that too much. 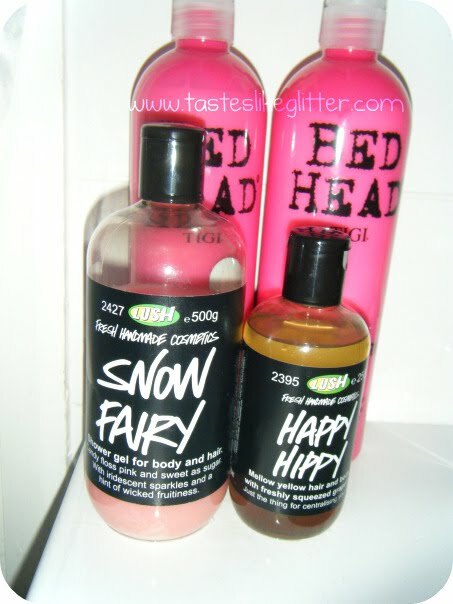 Unlike previous brands I've used (I'm talking to you Herbal Essences! ¬_¬), it doesn't wash my colour out. It leaves my hair smooth and shiny. I'm not really bothered whether it makes my hair massive. I straighten the hell out of it anyway. This is definitely something I would recommend to everyone. I'm pretty sure nearly, if not all of Tigi Bed Head's shampoos are Sulfate free so go and buy them and stop using Sulfate!